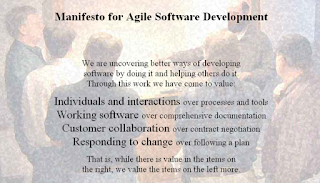 If you have ever wondered about the history of Agile Software Development ( which I have written about in this blog ) you should check out the new article published in TechBeacon, "Uncle Bob Martin: The Agile Manifesto, 15 years later", written by Malcolm Issacs. "The meeting started with a very brief call to action, namely to write a manifesto, although no one knew what it would look like, or whether it would be a large or small document. "To seed the discussion, the participants all wrote down the issues that were most important to them on index cards. They then arranged the cards by topic and found that there were many ideas that were heavily represented. During the discussion that followed, someone, probably Ward Cunningham, was inspired to write down four sentences that would become the Manifesto, with the concept that they weren’t rejecting the ideas on the right, but rather valuing the ideas on the left more. This was the epiphany for the group, and it led to a lot of agreement. 'That was startling for that group,' said Bob, 'because we didn’t agree on anything!' 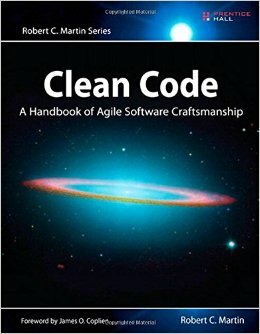 [ MORE ]"
Although I first heard about "Uncle Bob" back in grad school with "Agile Software Development: Principles, Patterns, and Practices", I've only encountered his blog articles (butUncleBob.com), free lectures on YouTube, and purchasable lectures on his Clean Code website only recently. 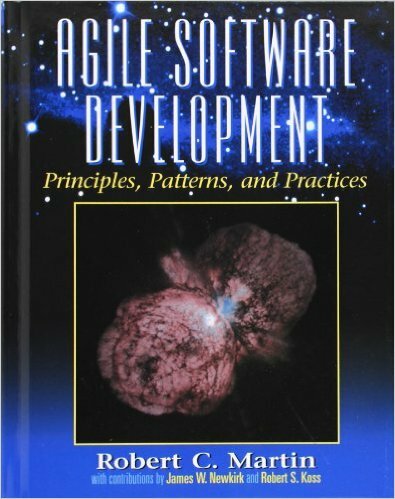 It's funny... even though I have been working in the software industry since the pre-Agile days of 1996, as a manual tester there has been much in the world of software development that I wasn't aware of. Even though I earned my Masters of Software Engineering from Brandeis University back in 2008, we never touched upon the literary works of Kent Beck, Ward Cunningham, Robert Martin, or any of the Agile founders. 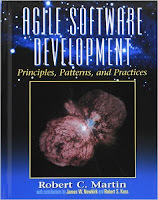 Martin Fowler's Refactoring: Improving Design of Existing Code (1999). ... Maybe the insecurity will fade as I work towards my second year of experience? ... Or maybe if I watch enough of Uncle Bob's videos, his software design principles will sink into my brain? 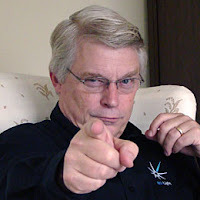 All I know is that I would love to buy Robert a few of his favorite frosty beverages just to listen him storytelling. ... Anybody know if he frequents Boston? // Automation developer for [ 1 ] year and counting! Automation Development Experience: Level Up!